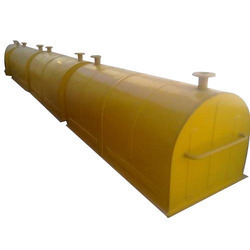 Providing you the best range of frp chlorine safety tonner hood with effective & timely delivery. We as a manufacturer of the FRP products are flourishing in the industries for our virtuosity and efforts to impart excellence in the quality, introducing a sterling quality range of the FRP chlorine safety Tonner hood also reckoned as the FRP CL2 chlorine hood. The offered FRP chlorine safety Tonner hood is manufactured employing high-quality FRP material in synchronization to the set quality standards to deliver the best possible version of the safety Tonner hood that is excellent against chlorine. This FRP chlorine safety Tonner hood finds its area of application in various industrial segments incorporating chemical, engineering and food industries, available in the assorted range of the specification and also available in the bespoke specification as stated by the end user.